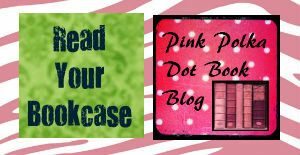 Pink Polka Dot Books: Reviewers' Roundtable- Are We All Copying Off Each Other? Reviewers' Roundtable- Are We All Copying Off Each Other? Are We All Blogging About The Same Stuff? Are we all writing about the same stuff? Book blogs all do reviews, memes, blog tours, cover reveals, blasts, giveaways, and discussions.... is there something wrong with everyone doing the same thing? A little while ago I read a post that someone did (and I can't for the life of me remember who... but if it's you let me know) which made me think really hard about book blogging. This post that I read basically talked about the originality of book blogging and how we all post pretty much the same stuff. Sure sometimes a blogger will come up with something unique and fresh, but for the most part we're all posting reviews on newer books, meme's like Top Ten Tuesday and Waiting on Wednesday, and discussions on all the same topics. And when someone does come up with something out of the box, it gets copied until like 20 people are doing a really really similar thing. So my question is.... Is there something wrong with that? If we all have our own unique opinions on books and discussion topics, does it really matter that we're essentially all talking about the same thing?? Doesn't our opinions in of themselves make our post unique? I feel like yes. But I know there are a lot of people who hate that everyone is blogging the same way. Here's my thing: I try really hard NOT to copy anyone. But just like in this post, I read something from someone else's blog and it got me thinking about this particular topic. And I do a feature about covers, which I know other bloggers do something similar. And I post weekly new releases, which I THOUGHT was unique when I first started blogging, but found out it's not. So yeah.... coming up with fresh content is tough. I'm always thinking about new discussion topic ideas... but let's be honest, if you're doing discussions on YA books and book blogging, there really are only so many things you can discuss. Eventually EVERYTHING has been talked about. What do you think?? Do you get bored with everyone blogging similarly?? Do you wish people would be more original or are you happy with the way things are? There's always room for creativity and originality. But whilst many people post similar topics and reviews for the same books - EVERYONE has something unique and different to say. I don't think this means that it's the same. I rather think of it as all offering something new and giving a broader view into the topics we blog about. I like seeing what others say about the things I'm thinking about and I hope when I get to give my opinions people aren't sick and tired of what I have to say. 1. Talking about the same books - u can do a non-recent book, but the books people want to know about are generally new and those new books are what is on the reader services. 2. SPotlights and cover releases are ADS or at best filler. I will do a cover release once in a while for a publisher who has gone the extra mile for me, but it is not usually my only post. I have a policy about guest posts that require they are new, original and exclusive for the tour or 30 days, which ever is longer. My readers deserve new, not rehashed, posts. Period. My advertisers pay for space, why buy the cow when you can spotlight it. It's not fair to them or me. Re features, I think if you do something that interests you, like I discuss stuff from historical lit that is esoteric or arcane or no longer part of our lexicon, and I post on stuff I grew up with that is part of the lexicon but which younger people might not know about. There's nothing "wrong" with running your blog anyway that does not infringe on the rights of others and which is not illegal but everyone knows that your decisions on a blog are like any other decision - they have consequences. Unfortunately, I seems to see people who do just post spotlights and stuff get a lot of follows and that goes against everything I thought I knew. BUT I see book blogs as a smaller community on line and I think maybe we all look at each other a lot. But maybe I am wrong and the people don't cruise all over the bloggosphere reading book blogs so spotlights and such are really a service to the reader. I am really struggling with that. And, what Kate said rings true as well. We are a community of people interested in books, even certain kinds of books. There are only so many variables in that arena (plot, character, cover, writer's voice, giveaways, etc...) so there will be overlap. And part of what we do has to be supporting the industry itself, producer and consumer. I'm all about supporting the book industry however I can :) Well said. I think it's hard to be completely unique all the time with book blogging. But like you, I don't mind seeing the same stuff because everyone has their own opinions about the books, covers, topics, etc so it's all interesting to read! I agree... interpreting stuff is okay, copying is not. I love seeing something from someone else's viewpoint, so I personally never get bored with recycled topics. I do not mind when blogs talk about similar things. As long as the blogger is speaking in their own voice rather than copying their "voice" from someone else, then whether it's a review or a meme or a discussion, it's something new. It's like with books, while the subject, the basic storyline might be the same, if the author's voice is different the story can feel fresh and unique. Most topics have already been done, but if they haven't been done by YOU (the collective you) then it's new. Even posts about originality have been done by many blogs/bloggers. But even if your opinion is similar or what you have to say is similar, it's still your opinion and your voice that brings something new to the table. If we only wanted to read one review or discussion topic about a subject, then there wouldn't be so many paid reviewers or online publications. While copy/paste blast posts don't bring anything new to the table and once you've seen one you've seen them all, if the blogger adds in their thoughts and opinions to the reveal or blast, it does add something. And if they share their enthusiasm for a book on a meme post, it's something different, even if they're fangirling about the exact same book everyone else is. As long as it's in the bloggers voice, it's something "unique" belonging only to them and worth reading. You are SO right!! I read books all the time that are like practically exact copies of plots from other books, but the way the writers WRITE the story and characters make it completely different. Good call! I don't get bored, either. I see it all as pieces of the overall conversation. I really like it when folks link up to post on similar topics, link to posts that inspired their own, and aggregate links in weekly round-up posts so I can follow these conversations. If I wrote a post that inspired someone else to muse on the same topic, I'm pleased and excited to read what they wrote! Ditto for seeing that someone else's idea was inspiring to another blogger. The key is in giving attribution to the inspirational post, both so readers can read more on the topic and to give credit to the brilliant individual who asked a juicy question! Oh wow...I think this is one of the most though-provoking discussion posts I've read in a long time! I definitely think it's interesting how a vast majority of bloggers are reading similar books, participating in the same memes, etc, etc, but I don't necessarily think it's "copying." I think that you hear that a certain blogger likes a book so you decide to check the book out, and then another blogger sees YOU enjoyed the book and they decide to check the book out, etc, etc. Yes seeing books on people's blogs definitely influence me to read books... and also influence me NOT to at the same time. I like seeing new releases and I also cringe sometimes when a hyped up book comes out and my whole blog feed is filled with reviews for the same book. But it usually blows over after a week or so! I have thought about it a lot, because it is hard to be unique with a book blog - I just decided to keep it something that I would appreciate and like to read, something fun for me to do and share with the world! I completely agree with you on this one! Although we often all end up discussing the same bookish concerns and review many of the same books, I like that. It's nice to know I'm not the only one with bookworm problems and I have more to say about a discussion I have an opinion on or a review of a book I've read. Great post! Great post! I definitely agree with you. Even though I KNOW that we bloggers are constantly rehashing the same old ideas over and over again in our discussion posts and features, I don't mind it, because I like hearing people's individual opinions. Even though the idea behind a lot of posts might be the same, the posts themselves aren't going to the be the exact same because everybody is unique and has their own different ways of looking at things.